For hundreds of years, humans have been programmed to believe things that were downright wrong. The same goes for medicine. Medicine has been, and continues to be, poorly understood, which has given way to several medical myths. A lack of knowledge and motivation to conduct further research has allowed people to come up with their own theories about the human body and how it works. We may not know everything about the body or completely understand its functions, but we do know that these 10 common medical myths are completely false. The Flu Shot Can Give You the Flu: Despite many people’s beliefs, the flu shot does not infect you with the virus. In fact, the influenza viruses in a flu shot are inactivated, or killed, and they cannot cause an infection. Some people experience soreness or redness near the injection site after vaccination, but it does not cause flu illness. If someone does get flu-like symptoms after being vaccinated it’s generally because of a couple of reasons. First, they may have been exposed to one of the influenza viruses before getting vaccinated or before the vaccine takes effect. Second, they may have been infected by a different type of virus or non-flu virus, such as rhinovirus or a respiratory illness that are not protected by the vaccine. Most other flu-like symptoms are experienced among the elderly and people with weakened immune systems. Swallowed Gum Stays in Your Stomach for Seven Years: The truth can be hard to swallow, but you’ll be happy to know that your childhood friends were wrong about gum staying in your stomach for seven years. We should all know better than to underestimate the power of the digestive system. When gum is swallowed, the body breaks it down just like every other food you ingest. During the digestion process, the body extracts materials that it can use and sends the rest out in the stool. Although the body cannot digest the synthetic ingredients of gum, it still passes normally from the stomach, small intestine and into the colon. Even though chewing gum is meant to be chewed, it’s perfectly fine to swallow it if need be. Chocolate and Greasy Foods Cause Acne: Contrary to many beliefs, chocolate and greasy foods do not cause acne. Acne is caused by three main factors: overproduction of oil, also called sebum, irregular shedding of dead skin cells that cause an irritation of the hair follicles, and a buildup of bacteria. Although no one should go overboard on eating chocolate or greasy meals, there is no scientific link to diet and acne. Cracking Your Knuckles Causes Arthritis: When doctors took a crack at disproving this myth, they found little to no truth behind it. The act of cracking your knuckles may sound bad to the ears, but it does not cause arthritis. Every time you crack your knuckles, you stretch the capsule that covers each joint and lower the pressure inside the joint, which creates a vacuum effect by causing the gasses that were previously dissolved in the capsule fluid to make a bubble and pop. While cracking your knuckles does not cause arthritis, it has been linked to ligament injury, discoloration of the tendons and reduced grip strength. Cold Weather Can Give You a Cold : This one couldn’t be more false. Cold weather alone does not cause people to catch colds – you have to contract the virus from an infected person to get one. Colds are more common during the winter months because people are generally indoors during this time and the viruses can spread more easily. 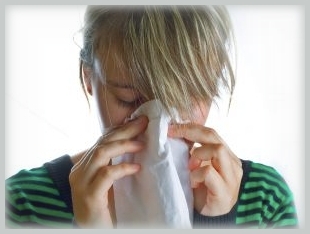 In fact, cold viruses tend to survive better in the spring, summer and early fall months because humidity levels are high. So until you swap germs with a sick person, you won’t get a cold from wet hair, cold temperatures or going hatless outside. You Have to Wait 30 Minutes After Eating Before You Can Swim: Despite your mother’s warning, there is no scientific proof that swimming right after a meal is bad for you. It was commonly believed that people should refrain from swimming 30 minutes after eating because blood flows to your digestive tract and limits the blood needed to move your arm and leg muscles when swimming. Scientists have dispelled this myth, noting that while the body does use extra blood during digestion, it does not use enough to prevent your arms and legs from functioning properly. If anything, you may experience slight abdominal cramping if you swim right after eating. You Lose Most of Your Body Heat Through Your Head: The common belief that people lose most body heat through their head is all in their head. Even though you do lose about 10 percent of body heat through your head, it is not the main exit. Body heat is lost through any and all parts of the body that are uncovered in cold temperatures. The myth likely goes back to a flawed military study from the 1950s that tested the loss of body heat when soldiers were exposed to extremely cold conditions. The volunteers experienced rapid heat loss in their heads, but the experiment was flawed because their head was the only part unclothed. Regardless of the myth, it’s a good idea to keep your head and most body parts covered in cold temperatures to stay warm, but know that you aren’t going to turn into an icicle without a hat. Eating Turkey Makes You Sleepy: Just because you’re ready for a nap after eating a large Thanksgiving feast doesn’t mean the turkey is the culprit. The myth claims that turkey makes you sleepy because it contains a nutrient called tryptophan, which is used by the body to make sleep-related serotonin. Tryptophan is a natural occurring amino acid that is obtained from food protein, but turkey is just one of many sources of this essential acid. There are several other amino acids in turkey, but tryptophan is less abundant. It takes a while for these amino acids to circulate through the bloodstream and increase brain serotonin in the brain. A more plausible cause of post-turkey dinner drowsiness is the fact that you’ve eaten more in one sitting than you’re probably used to, and it takes a great deal of energy to digest all that food, therefore making you more sleepy. We Only Use 10 Percent of Our Brains: Whoever believes that people only use 10 percent of their brains may not have a brain. I’m only kidding, but the truth is humans actually use every part of the brain and its always active. Even when you’re resting or thinking, at least 10 percent of the brain is in use. Every part of the brain has a specific function and multiple portions are being used at the same time to perform daily activities, such as breathing, making dinner and driving a car. Even if all parts of the brain aren’t firing neurons and communicating at the exact same time, you can be certain that the human brain is being worked 24/7. Eating Late at Night Makes You Gain Weight: Fear not, late-night snackers, the myth about gaining weight from eating late at night are just plain false. Sure, you probably aren’t going to go run off that bowl of ice cream or bag of popcorn before bedtime, but it’s not going to make you balloon up overnight either. Over the years, scientists have conducted several studies to dispel this myth and results show that eating late at night does not increase one’s chance of gaining weight more than any other time of the day. However, it’s important to note that late-night snacking after you’ve consumed your normal caloric intake during the day may cause weight gain and should be avoided. This entry was posted on Sunday, January 16th, 2011 at 11:01 pm	and is filed under Health News. You can follow any responses to this entry through the RSS 2.0 feed. You can leave a response, or trackback from your own site.